Microsoft want your help to avoid another Windows 8. They are offering downloads for window 10 while it is in the works. If you would like to find out how to try it out then you have come to the right place. I will try my best to make it as simple has possible. Upgrade, or in a virtual machine? So, you can upgrade your current Windows Operating System version or you can run it in a virtual machine, which will let you run an entire OS from in side a bubble on your HDD, so to say. I recommend not upgrading, as the OS is a work in progress and may be very unstable, which can result in computer catastrophes, such as lost of files and crashes. I this tutorial, I will show you how to run it safely in parallel with your current OS, which will keep your current system safe and intact. 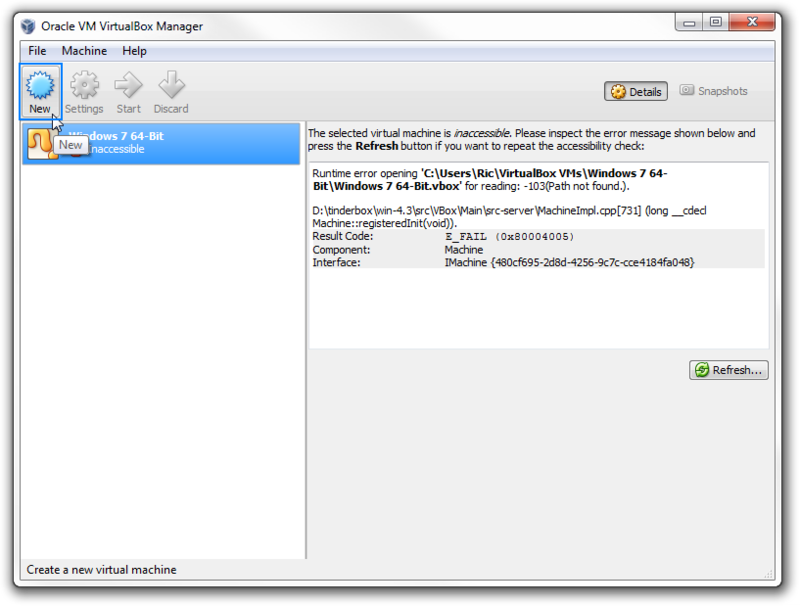 VM's are popular as they are used to test suspicious programs for viruses. One of the best virtual machines you can download is Oracle's VirtualBox. This is a simple freeware application which will allow you run OS's in seconds providing you have a ISO file or similar which contains the OS. Head over to https://www.virtualbox.org/wiki/Downloads and download the appropriate version of the software. Let's download the windows version. 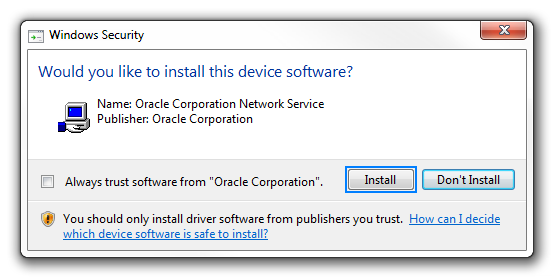 Once it is downloaded, browse to where it is located and install it. 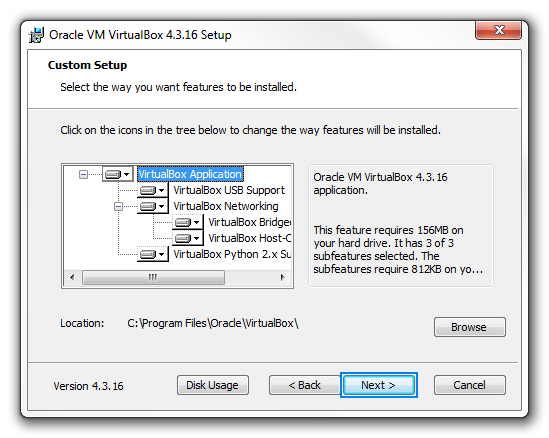 If you want to install VirtualBox somewhere other the programfiles, you can do so here, otherwise just click next. You can uncheck the following if you want. The installer will now ask to disconnect the internet temporarily, just press yes. Now it is ready to install, press install to do so. If you didn't check the 'Always trust software from "Oracle Corporation"', then it will keeping asking to install each device. Press install again, like before. You will be presented with this dialog, you can uncheck the 'Start VirtualBox' if you want, we still need to download the Windows 10 ISO. To download the Windows 10 ISO from Microsoft, go to the link below. Scroll down until you find the version you want. e.g. English 64-Bit (United Kingdom) and download it somewhere on your computer which you can find easily. 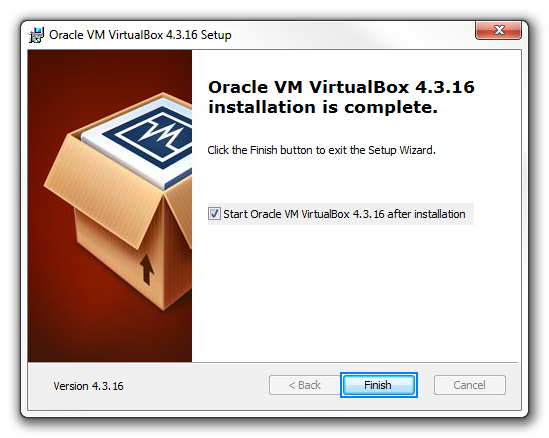 Once it is downloaded, go back to VirtualBox or open the application if it is closed. 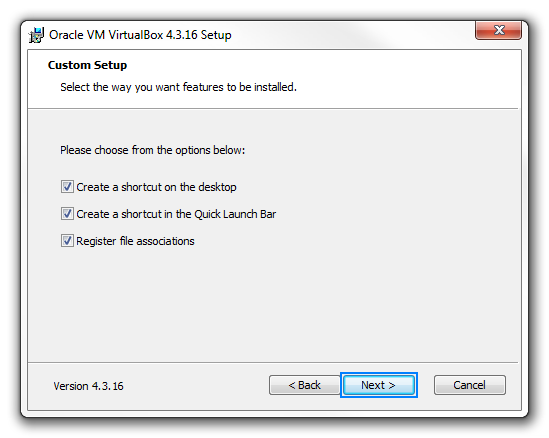 On this dialog, you can give the virtual machine instance a name, call it appropriately. Since Windows 10 is so new it isn't listed in the Version drop-down list, so click on 'Other Windows 64/32-bit' and choose Microsoft Windows as the type, then click next. After giving you ram amount, click next to continue. Now it will ask about whether you want to create a virtual hard drive. 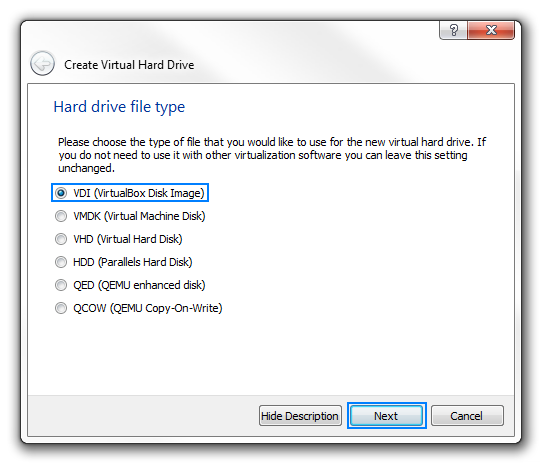 It is a good idea to do this as it will give a place to store the files created in the virtual box. 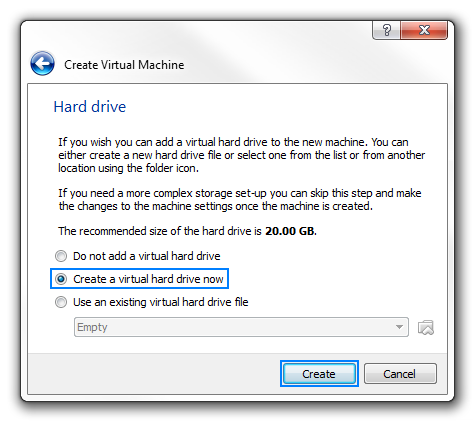 Check 'Create a virtual hard drive now' and click next. The next increment of the dialog will ask about which hard drive file type you want to create. 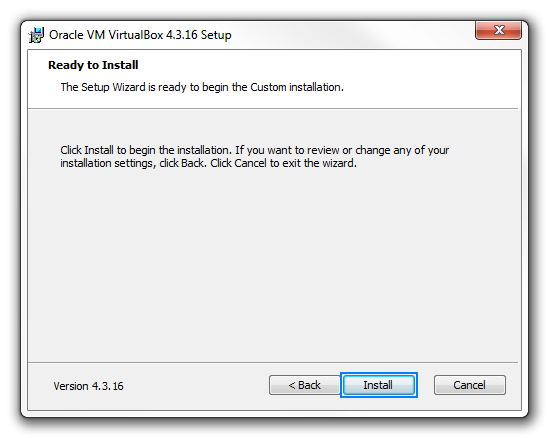 Since you are reading this tutorial, I doubt you have used a virtual box before. 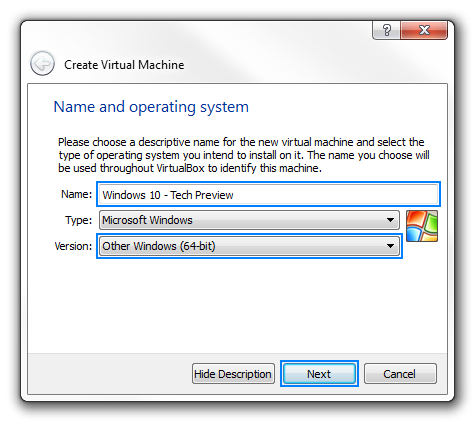 This is giving you the option to create as something other virtual machine programs can understand. 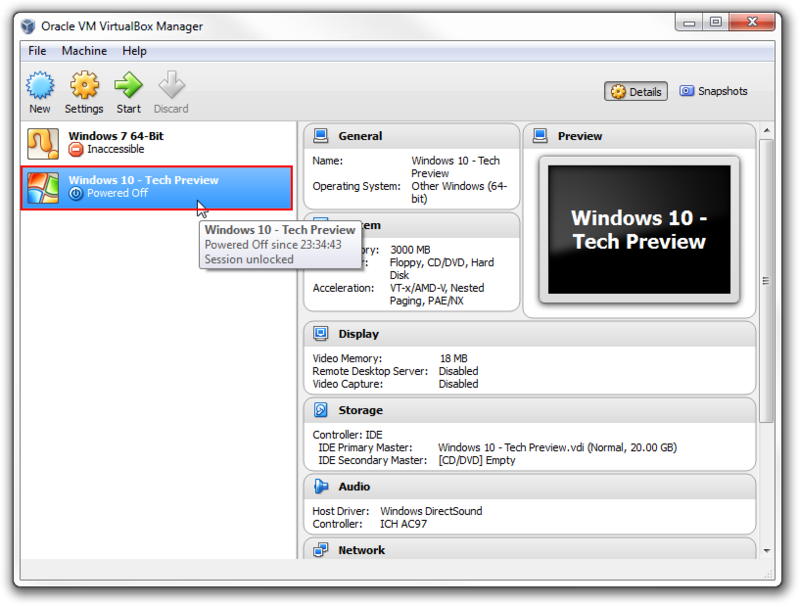 Since I'm not interested in using in any another program I will create as the default VDI. Now it will ask about how to store files. 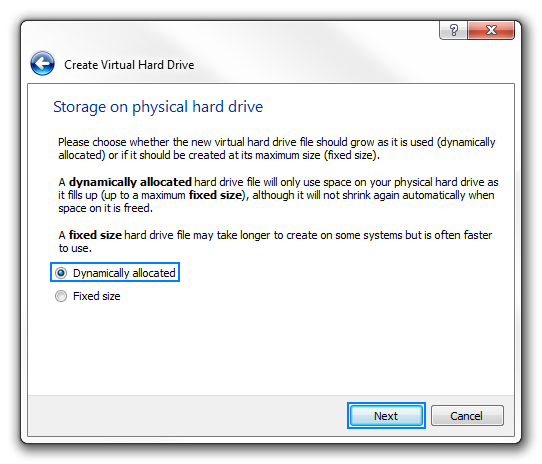 Click on Dynamic if you have no hard drive space limits, otherwise click 'fixed size' to prevent the virtual machine from expanding if it need to. 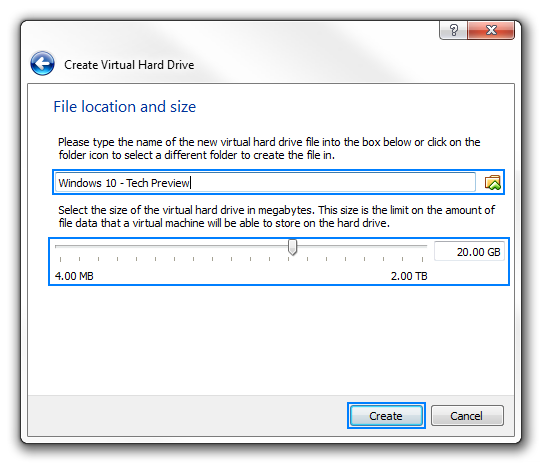 Now it prompt to ask about what you would like to call the virtual hard drive. It would make sense to keep it the same. 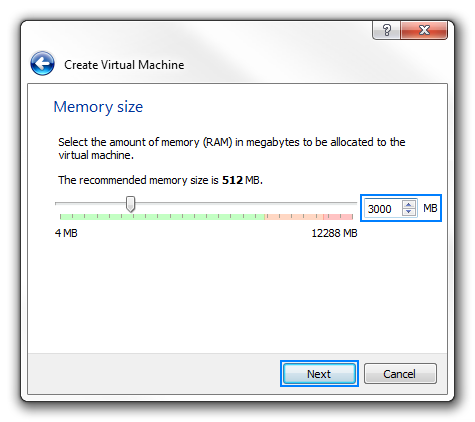 Choose how much space you would like to allocated for the VM and click create. It doesn't matter too much as we checked dynamic so it will just expand if it needs to. After clicking create it will have created a new virtual machine, now all you need to do is run it and assign the VM source as the ISO we downloaded earlier. 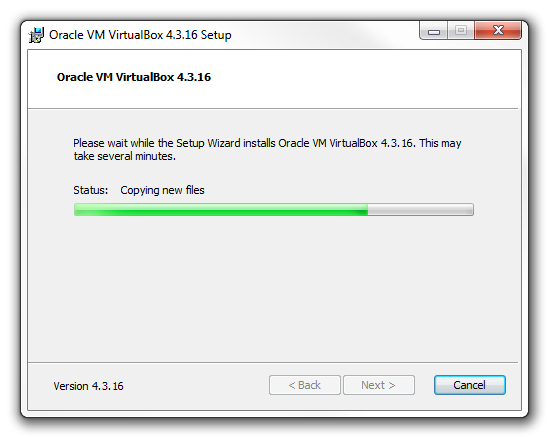 Double click your new VM to run it.